Contemporary soul singer Charles Bradley has died at the age of 68. The cause was cancer. He will be remembered as the finest shouter in blues, funk, and soul circles since James Brown. Those who discount Charles Bradley as a retro act imitating James Brown are missing out on something very special. The sixty-eight year old singer’s latest full length recording, Changes, reveals a mature artist whose vocal powers are undiminished but whose interpretive skills are ever more sharply refined. His accompanists, the Menahan Street Band and Budos Band, create spot-on charts to support Bradley’s singing, at turns muscular and lyrically soulful. Most of the tracks are originals, and strong ones at that. “Ain’t it a Sin” rollicks rebukingly. “Nobody But You” is a smoothly delivered ballad that explores Bradley’s sweet mid-register before swooping higher to impassioned cries. What would seem like an improbable source for a cover for Bradley, Black Sabbath’s “Changes,” is instead an album highlight, re-envisioned with supple rhythm guitar, Hammond organ swells, and long, legato horn lines. Bradley delivers the song passionately and expressively, capturing the emotional content of one of Ozzy Osbourne’s signature songs, but placing an entirely individual stamp on it. Bradley’s Changes is a memorable and energetic outing; recommended. 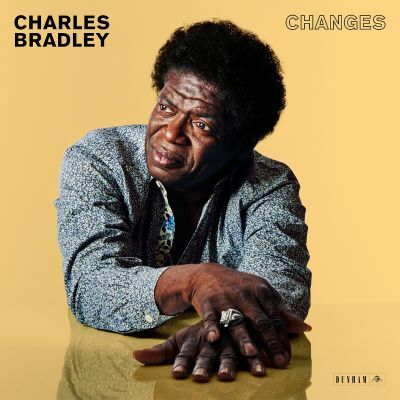 Changes is available via Daptone Records.